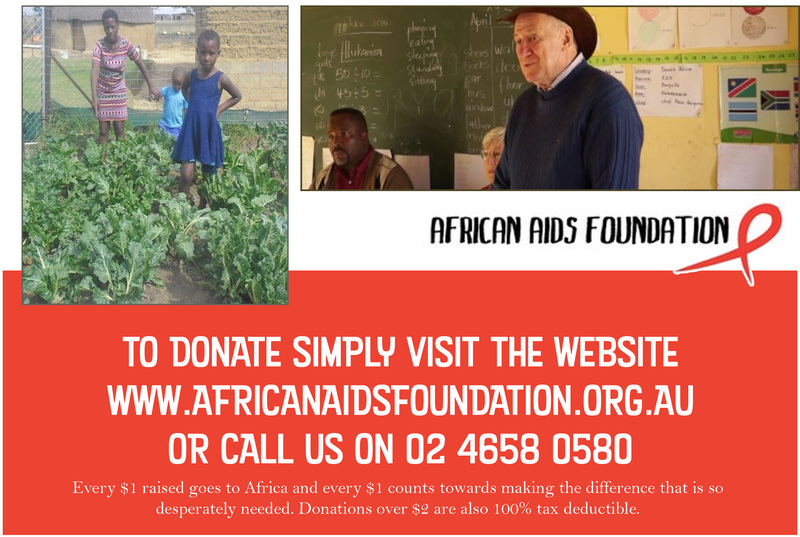 As you are aware, AAF is a small, Australian charity run entirely by volunteers. We ensure our work remains focused through regular visits and ongoing communication with our people in the field. Currently we have six interns who work with Vusi Maphalala. (You may remember, Vusi visited us last year and attended our Garden party fundraiser.) On our recent visit, we met with these young people and heard their stories. Most were village children who attended our life skills camps and workshops but have been unable to find work. They are paid a small wage to cover bus fairs and lunch money and attend a day of instruction with Vusi each week. On other days they run youth clubs in their villages. Rosalie and I attended one of these during our trip along with 40 very keen young people. Many youth club attendees are chosen to attend workshops with Vusi. There are many things we hear from interns that inspire us to keep this work going. Recently we were told of Lindokuhle; a young boy of 14 they met through one of the youth clubs. 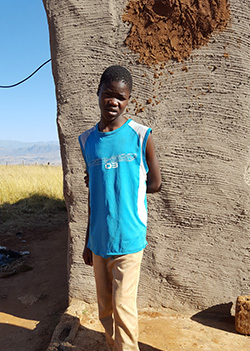 Lindokuhle (pictured) was living on his own under very difficult circumstances. When his parents died, he was sent to live with relatives who also passed away shortly after. The only food Lindokuhle was receiving was at lunchtime during school. He was also on medication for HIV. As it is very difficult to take this medication without a regular diet, the interns gathered food from nearby homes to keep him well during treatment. Our interns also helped Lindokuhle repair his leaking roof and a hole in the mud walls of his home as seen in his photograph. One of our interns, Bongiwe is also a librarian at Intubane School, which is partnered by St Peters Anglican College under our School partnership program. Bongiwe offers a much-needed ‘ear’ for the girls and also runs youth clubs. AAF Interns also help elderly people with keeping their mud brick homes and yards clean and collecting water for those too ill to walk to the river or communal pumps. There is also an ongoing need for the support of young people during the loss of a loved one. This is another area in which our interns are trained. They are not only emotional support, but also money for food at funerals for those who could otherwise not afford it. Every week we hear new stories of our intern’s work and every week we are inspired. Because the interns were once vulnerable village children themselves, they provide AAF access to remote communities to detect the most vulnerable children for us to assist. The elders endorse our interns’ presence in their villages and report that issues such as drug abuse and sexual abuse have decreased due to youth clubs starting in these desolate communities. This is a direct response to our intern’s relationships with lonely and disenfranchised youth. Getting the youth involved in projects such as gardening and cleaning provides a sense of belonging and self worth which orphaned children do not ordinarily possess. Each week, we receive reports and stories from our projects and this renews our drive to work harder and to raise more funds to expand our work. Thank you for the help in the past and please, if you can, give to our appeal this month. We urgently need more indigenous locals trained as interns to work with our youth. If you could see the direct results of the work of AAF has done so far and the lives it has changed, you would be so happy to be a part of our future. Truly, to make a difference in even one life is a wonderful thing! Those taking AIDS & TB medications suffer from many side effects that can be dramatically reduced through access to fresh vegetables. Our garden projects provide education and seeds allowing communities to maintain their own sustainable gardens enabling them to ‘help themselves’ through both nutrition and self-sufficient incomes. Mrs Hlongwane (Mumsie) runs this project and recently wrote to us about one of the women who has been helped. Mathanwa Hlongwane lives in the Moyeni area with her family of 18 members. 15 of these members are children and 12 of those are orphans. Because they have no documents, these orphans receive no pension. Three of the children have access to a small grant which the entire family must live on. Mathanwa’s dependants also includes her mother who is suffering from HIV and her brother who has epilepsy. These circumstances prevent Mathanwa from being able to work as she must look after her family. In 2015, Mathwanda became very ill and was diagnosed as HIV Positive. One of her orphans was also diagnosed that same year. Recently, Mathwanda spoke to us about the help our garden project has provided. AAF has assisted Mrs Hlongwane’s family not by simply providing food and financial support, but by creating a garden that can help keep her self-sufficient in the future.